Geovanne ‘Grande_Prego’ Pereira took down the PokerStars Sunday Million for $145,753 after defeating ‘AndyKidPoker‘ in the final showdown. A total of 5,835 entrants took part and meant that the prize pool once again exceeded its guarantee and was set at $1,167,000. A familiar name in the world of online poker ‘anteen‘ took the bronze medal worth $77,595, before the final two players agreed to a money-deal. The action then recommenced and saw ‘Grande_Prego’ take the title nearly 14 hours after the tournament had begun. ‘AndyKidPoker’ added a massive $122,386 to their bankroll, just over three years since a 13th place finish in the Million for $4,661 saw them bank their now third biggest online score. ‘bartek901‘ got the better off Jordan ‘JWPRODIGY’ Westmorland to claim victory in the PokerStars $2,100 Sunday High Roller for $43,132. This week’s edition saw 91 entrants come together to create a $182,000 prize pool. ‘0409479‘ took the bronze medal for $24,738, before Westmorland, who has over $5.1m in recorded online cashes, was the final player to depart the action and ‘bartek901’ picked up the win. Two-time PokerStars Sunday Million champion ‘VinceVegaMFR‘ added the Sunday Warm-Up title to his list of accomplishments after he came through the 1,139 player field. 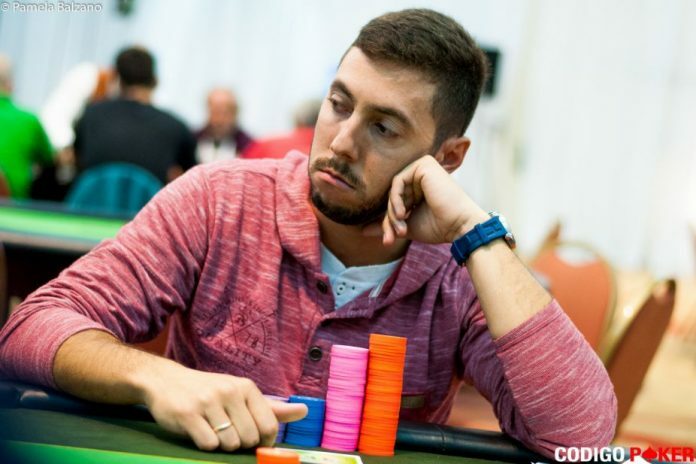 Brazil’s ‘pabritz‘ took the bronze medal for $18,613 before heads-up play got underway between ‘VinceVegaMFR’ and ‘jayjayme,’ with the latter the final player to fall and departed with 25,888 as ‘VinceVegaMFR’ claimed the $36,006 top prize. ‘TheRepoMan86‘ banked $52,337 after victory in the partypoker $1,050 Sunday Main Event-SHR following a heads-up battle with ‘rdcrsnn.’ There was a $263,000 prize pool up for grabs, with ‘CropDustr‘ just missing out on a shot at the first-place prize after they departed in third place for $26,563. That left ‘rdcrsnn’ to do battle with ‘TheRepoMan86’, but it was the former who was to fall and had to settle for the runners-up prize worth $37,872. ‘Ignent‘ took down the partypoker $530 Sunday Bounty Hunter for a score worth just over $54,000. partypoker ambassador Kristen ‘krissyb24’ Bicknell just missed out on a podium finish after she departed in fourth place for $8,697 + $3,542.50 (in bounties). ‘BrunoBellagio44‘ was the next to fall and banked $11,763.25 + $3,201.25 in third place before the final battle commenced. ‘spinner2255‘ ultimately succumb to the pressure from ‘Ignent’ and took second place for $16,502 + $7,141.87 and ‘Ignent’ secured the $22,734.85 first-place prize alongside a massive $32,069.38 in bounties. ‘Specter_Litt‘ defeated partypoker ambassador Joao ‘joaosimaobh’ Simao heads-up to collect the partypoker $2,600 Super Sunday High Roller gold medal. The tournament saw 96 entries create a $245,000 prize pool and once the field was reduced to the final three in was ‘aLiNeNok1617‘, on their second major final table of the day, who collected the bronze medal for $30,625. Brazilian Simao was then looking to take another title on his partner site but couldn’t get the better of ‘Specter_Litt’ in the final showdown and departed in second place for $42,875, with the latter banking $60,025 as champion. Over on 888poker, recent XL Eclipse champion ‘Kannwas‘ overcame current PocketFives #3 ranked ‘Isildur1337x‘ to win the $1,050 Whale for $25,550. The prize pool was set at $73,000 after 73 entrants took part with the top seven places paid. Rodrigo ‘sonmonedass’ Perez banked $10,950 for a third-place finish before ‘Kannwas’ continued their impressive run on the 888poker client to take another title by defeating Sweden’s ‘Isildur1337x’, who had to settle for the $16,425 runners-up prize.